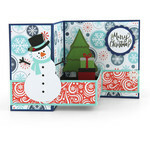 This project includes two Christmas cards designed by Lori Whitlock. 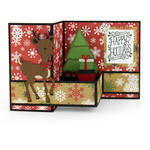 These cards measure about 5.5 inches and feature an interactive box card in the center. They are truly beautiful and are sure to bring a smile to someone's face. 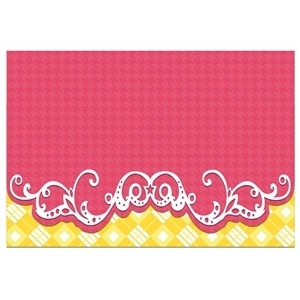 Standard sized greeting card template with recessed front flap and layered flourish accent. For best results, use double-sided paper.